Ride the I&M Canal Boat on Saturday October 6th to celebrate the day that Abraham Lincoln & his family were on LaSalle-Peru! Climb aboard a replica 19th Century canal boat and step back in time to 1848. Mary Todd Lincoln will guide you on a tour of the western end of the I&M Canal, where she and Mr. Lincoln walked in 1848 between the canal boats and the river boats. Mrs. Lincoln will retrace an hour of the Lincoln family’s trip from Washington, DC, home to Springfield on the I&M Canal Boat. Throughout his public life, Abraham Lincoln advocated for improvements to the nation’s transportation network, including a canal system that would be tied to the harbors, rivers, and roadways of America. He believed the waterways held the key to success, advancing the economic development of his home state and the entire nation. As a legislator, an attorney, and the President of the United States, Lincoln actively supported the construction, use, and expansion of the Illinois & Michigan Canal. 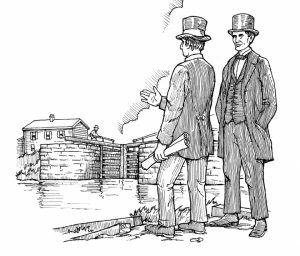 In February of 1835, Lincoln and 39 of his House colleagues voted to approve the construction of the I&M Canal, but funding problems ensued. Lincoln offered two amendments that were ultimately included in the authorizing legislation that passed in January of 1836. One of his proposals reduced the number of Canal Commissioners from five to three, and the other permitted the Governor to remove a Commissioner “for good cause.” As a lawyer in private practice, Abraham Lincoln remained involved in the affairs of the I&M Canal. During the summer of 1852, the Illinois General Assembly appointed Lincoln, along with Hugh Dickey and Noah Johnston, to a special commission. The commission’s task was to gather information about claims against the state resulting from the construction and operation of the I&M Canal. 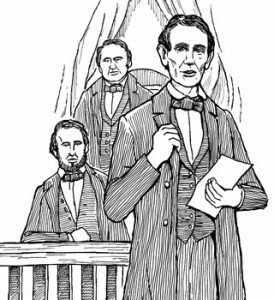 Lincoln and the other special commissioners traveled along the canal and interviewed claimants and witnesses in the Cook, Will, and LaSalle county courthouses. By the end of the year, they submitted a report to the Governor. As President of the United States, Abraham Lincoln’s goal was to preserve the Union. He advocated for improvements to the nation’s transportation system in order to move troops and supplies. 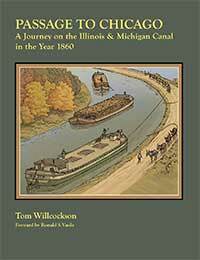 Since the Confederacy blocked the lower Mississippi River, more freight and passengers traveled through Illinois. In his annual messages to Congress in 1861 and 1862, Lincoln specifically included improvements to the I&M Canal. The proposed canal enlargement would have allowed warships to travel between the Great Lakes and the Mississippi River. It also would have permitted a greater amount of freight to be shipped through the canal between the upper Mississippi River region and the eastern United States. Congress did not approve the project, but Lincoln’s proposal laid the foundation for the construction of the Illinois Waterway System. Find out more about Lincoln & the Canal by riding the I&M Canal Boat for Lincoln Day on the I&M Canal! Call (815)220-1848 or click on the Buy Tickets Here Button on the Right of the screen. I ve only ridden this trail once, near Channahon (which has great parking at the State Park), and it was very good and interesting. Not paved, but still easy to bike or walk. In the area in which I rode, you have the I and M Canal on one side and the Des Plaines River on the other. As you ride, you go past historical sites of the canal which are a great bonus. Also, you can fish in the DuPage River at Channahon.